Those who know me will be surprised to find Tintin in joint position at number two instead of in the hotspot at number one. I’m a HUGE fan of Tintin and I’ve got the tattoos to prove it. But number two it is, and as with Asterix, I’ve chosen one book to represent the entire oeuvre. In this case, however, I mean the oeuvre minus Hergé’s more offensive early offerings – we all know which titles they are, and a great deal has already been written on the subject, so enough said. The book I’ve chosen in this instance is The Red Sea Sharks. Why this one in particular? I could have chosen Tintin in Tibet – the only book without a villain – or the wonderfully farcical Tintin-Stays-At-Home story, The Castafiore Emerald. But The Red Sea Sharks it has to be, mainly because the whole gang is here. Every character gets a look-in: even Jolyon Wagg has his moment at the end, and, as always, his chief purpose is to annoy Captain Haddock and deprive the poor man of some much-needed peace and quiet. There are, in fact, some Tintin characters we don’t want to see too much of: Jolyon is one of them and so is the ghastly Abdullah, who, thankfully, is not around for too long, and even he is useful in providing plenty of scope for Captain Haddock to fall downstairs, lose his temper, shout a lot, have things blow up in his face, and so on, and it’s all just so funny. In fact, Captain Haddock steals the show in this book, full stop. He is ‘onscreen’, as it were, for as much time as Tintin, and he makes us laugh all the way through. He is the subject of a wonderful Medusa joke on page 39 when he falls into the sea – for the second time – and emerges with an octopus on his head. (The characters are on a raft at this point, of course, and whenever you get a raft, you invariably get a reference to Géricault’s marvellous painting, The Raft of the Medusa.) When Captain Haddock spots Bianca Castafiore aboard the yacht that rescues the castaways, his reaction is to ask whether or not they should ‘hop back on the raft’. On the frigate, he yells obscenities at the slave trader through a megaphone until this ‘trafficker in human flesh’ is well out of earshot. And an especial bonus: the frigate is captained by the Best Bad Guy in Tintin, Captain Haddock’s old first mate Allan. Once Allan and his crew have deserted the frigate, Captain Haddock demonstrates exactly why he bears the title of Captain: he knows what he is doing, and it is he, not Tintin, who runs the show from that point onwards. He gets the Ramona’s engines going again after the fire and manoeuvres the ship safely through a barrage of deadly torpedoes. This book has everything: plane crashes; bombs that ‘tick tick tick’; punch-ups; daring escapes by our heroes dressed as women; chases on horseback; practically every vehicle you can imagine, including a raft; lots of different kinds of weapons; oodles of suspense and let’s not forget the sumptuous settings. 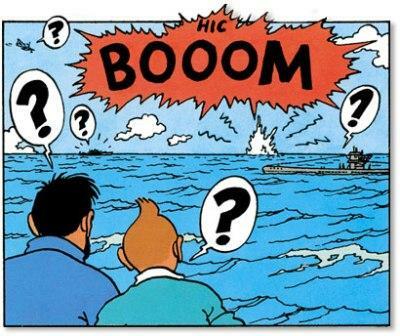 So I consider it a mistake to dismiss Tintin out of hand without considering the extent of Hergé’s artistic achievement. Nor do I wish to denigrate Uderzo’s artistry: in fact, I find it very difficult to compare Asterix and Tintin at all. 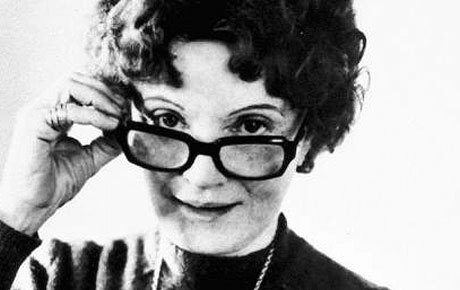 But I’ve had a go here under a few different headings, because if nothing else, the observations below will help demonstrate why these two old favourites are united at number two in my top five. First appearance: To begin with, these two characters emerged at very different stages of comic book history. Tintin was in there right at the start, appearing first in 1929 when the comic book was very young indeed; Asterix appeared some thirty years later when comics as a creative form had really found their feet. The early Tintin books are rough and ready, yes – but this sort of narrative told in art form (or sequential art) was something brand new. Audience: Asterix and Tintin books were essentially targeting different corners of the market. Asterix was always aimed predominantly at the adult reader, whereas Tintin began life as part of a children’s supplement in a newspaper. This is not to say that Asterix cannot be read and enjoyed by children or that Tintin is too childish for adults: neither of these statements is true, but if someone is going to set about trying to compare the two, this is something that should be borne in mind. History and Geography: Asterix and Tintin differ wildly in their treatment of these subjects. In Asterix, everything is scarily accurate; in fact, I learnt most of my history from Asterix, to be honest. I took my copy of Asterix in Corsica with me when my husband and I spent our holiday there two years ago, and Corsica really does look the way it does in Uderzo’s beautiful drawings. 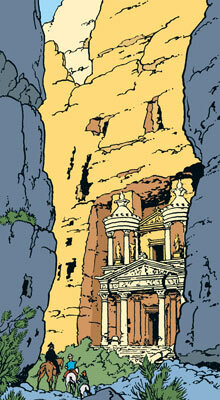 Tintin, on the other hand, plays relatively fast and loose with both history and geography. The books feature a couple of made-up countries, Syldavia and Borduria, and Tintin wasn’t the first man on the moon – although obviously, Tintin’s moon-landing pre-dates the real thing. Some of the events in The Blue Lotus have a fragile basis in historical fact, but on the whole, Hergé freely invents whatever he needs to invent to tell a good story. Style: I’ve already mentioned ligne claire, and Hergé’s mania for pictorial accuracy is well-known: his archives contain hundreds and thousands of pictures which he used as a reference point for his drawings. Asterix is more cartoon-like in its execution and Uderzo captures a great deal of expression in those cartoon human faces. Tintin himself has a limited expressive range – he’s only two dots for eyes, a button nose and a line for a mouth, after all. 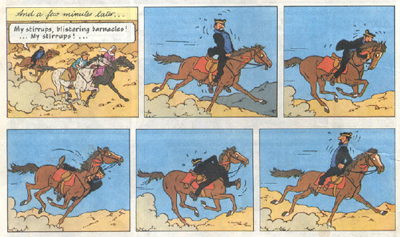 In fact, it’s amazing what Hergé does with those few dots and lines. Humour: In Tintin, the humour is derived mostly from slapstick, the winding-up of Captain Haddock, Professor Calculus’s deafness and the verbal antics of the Thom(p)son Twins; in Asterix, we laugh largely at the ingenious word-play. Development: Asterix doesn’t develop in the way that Tintin does. 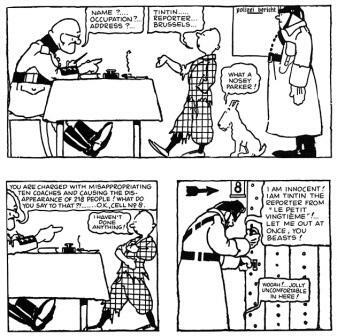 Tintin doesn’t have any kind of background or a personal history outside of the oeuvre, but he gradually collects a ‘family’ around him and sets up home with Captain Haddock and Professor Calculus at Marlinspike. When we first meet Tintin, he is a reporter, or journalist, living and working alone. 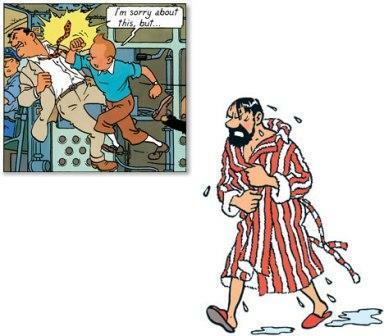 By the end of the last Tintin book, he is in a very different position. Asterix, on the other hand, doesn’t develop and doesn’t need to: he just is. Uderzo’s forays into Asterix’s childhood with Obelix produced some rather unsuccessful books aimed at a much younger readership. If it ain’t broke, don’t fix it, and Uderzo would have done better to stick with the winning formula: the village is threatened, Asterix and Obelix beat up lots of Romans, the story ends with an enormous banquet and the bard gagged and bound beneath the tree so he can’t ruin everyone’s evening by singing. Nicely written. I enjoyed your writing about these classics almost as much as I enjoy reading the comics themselves. Thank you for this. Thank you, that’s very kind of you! 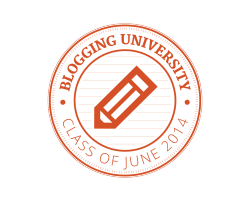 Glad you enjoyed the posts. I’m a HUGE fan of “Tintin” and “Asterix”. What did you think of “The Adventures of Tintin: The Secret of the Unicorn”, Spielberg’s movie? Lol, I understand. I quite enjoy the film myself! 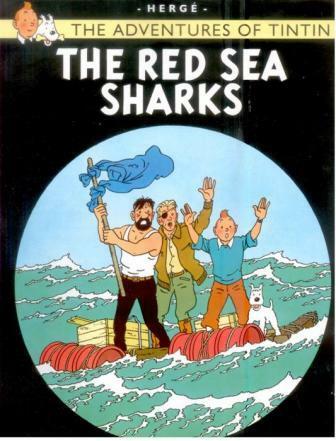 Also my favourite Tintin book…..The Red sea Sharks. Wow.